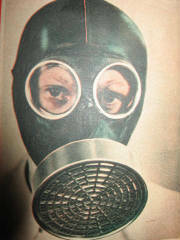 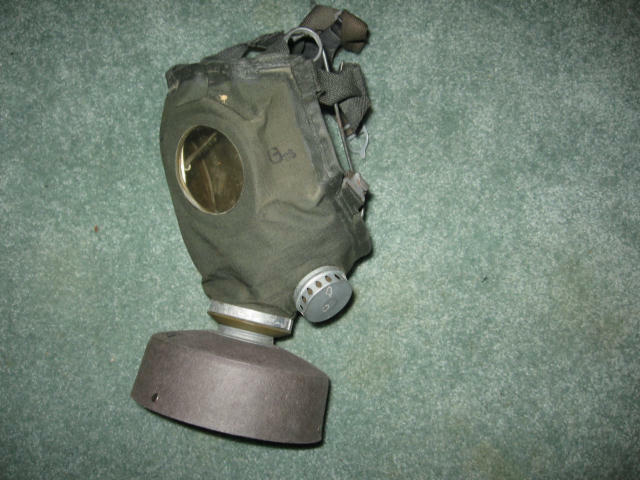 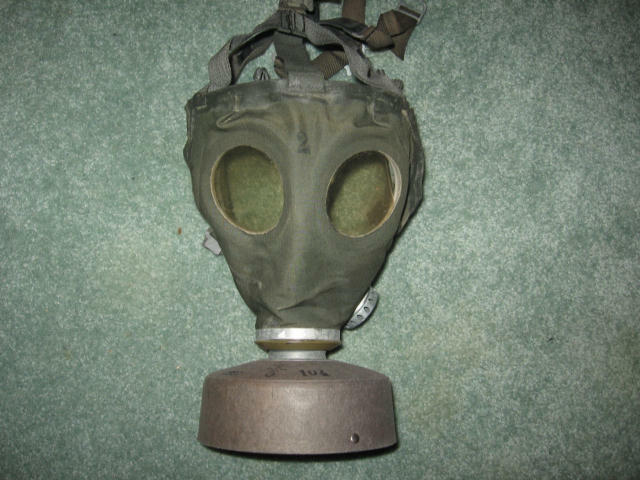 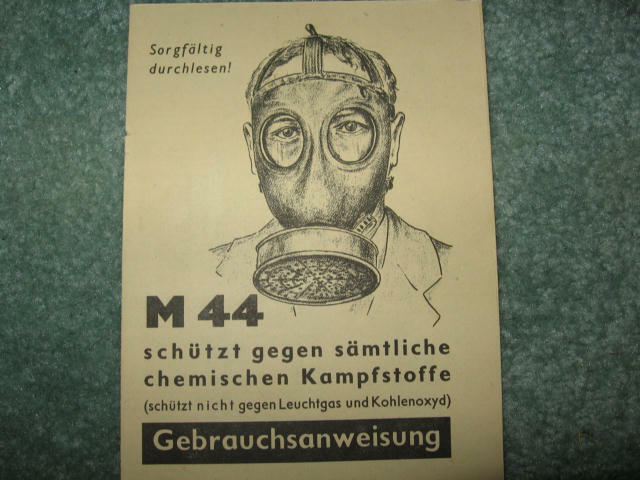 Here is the last gas mask for the german population produced during WWII . 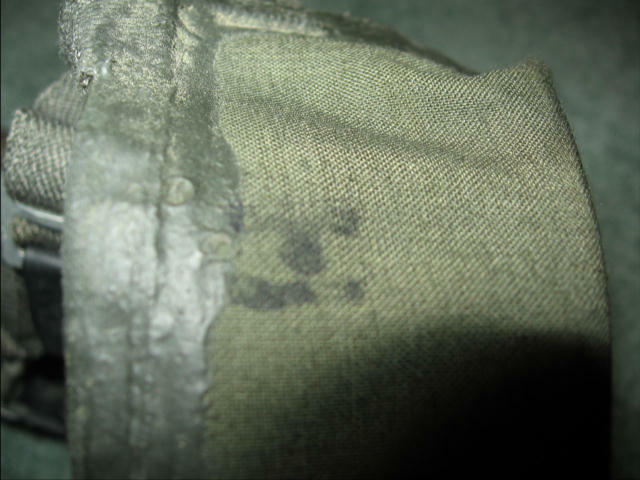 This can be described as a " last ditch " effort as Germany's resources were nearly exhausted .By this time the VM44 was made from green fabric with a layer of synthetic rubber . 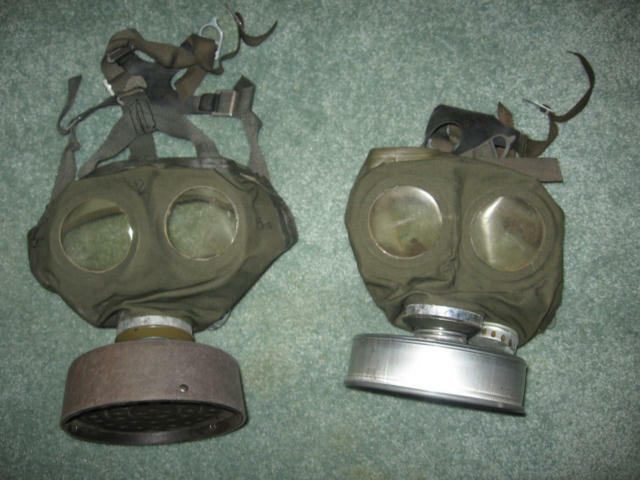 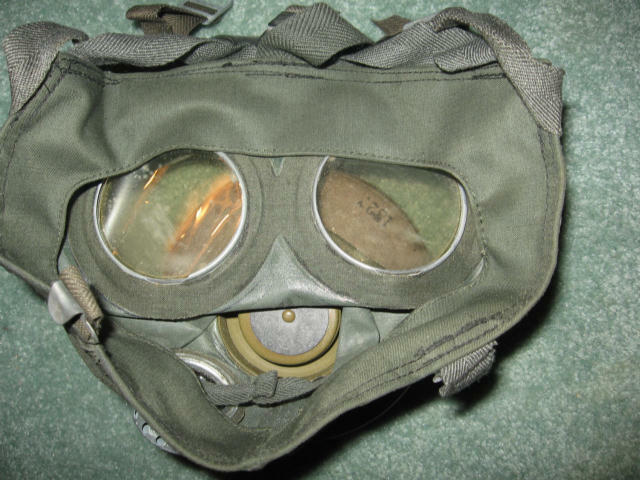 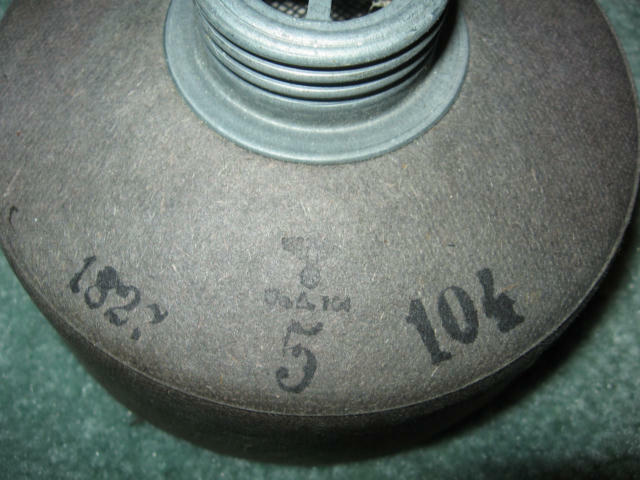 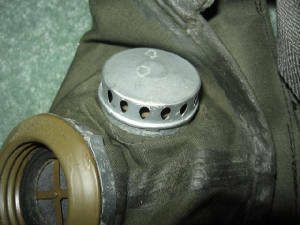 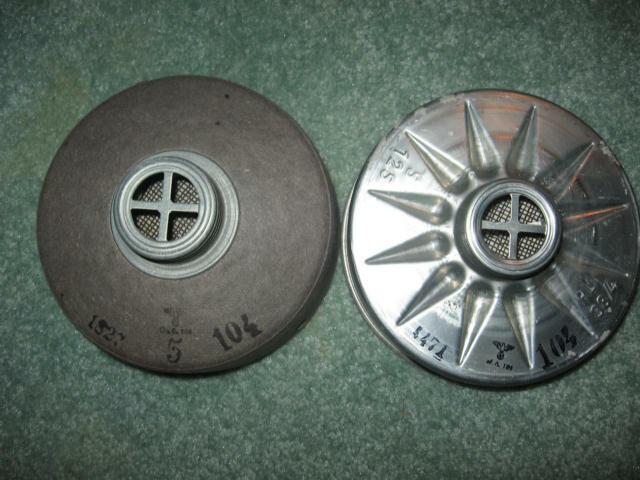 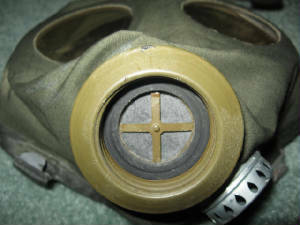 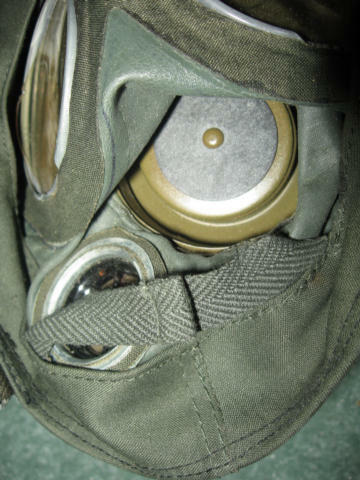 Unlike other German gas masks the round eye pieces are simply glued into place with fabric round reinforcement rings behind them . 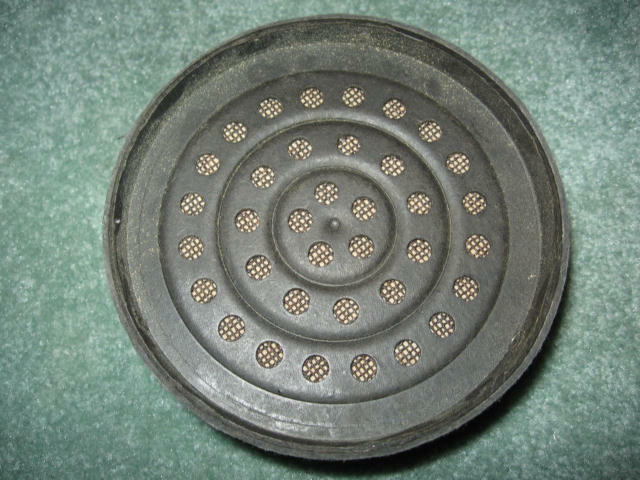 Overall construction is from green , thin fabric and when metel was in short supply the filer body was made from pressed paper ! 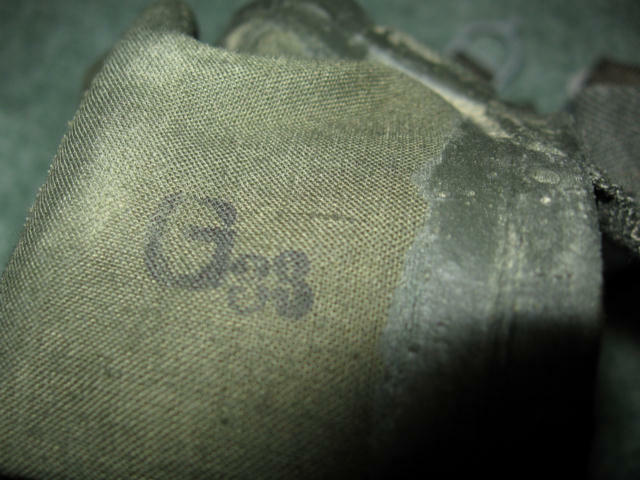 There were no "M" or "F" sizes , just size 1, 2 or 3 , number 1 the largest and 3 the smallest . 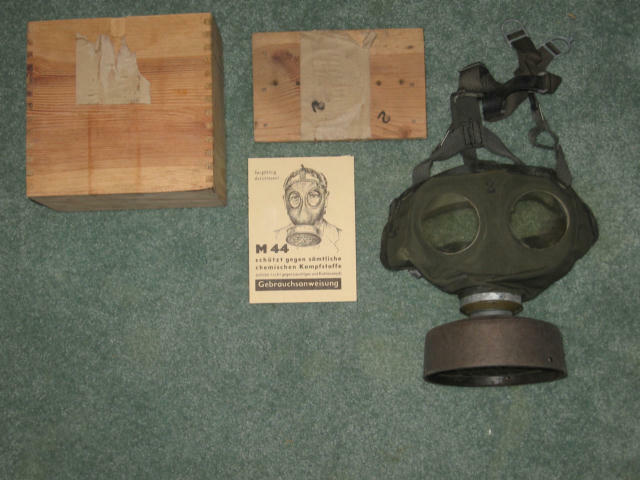 The mask came with a paper instruction sheet and a thin wooden carrying box . 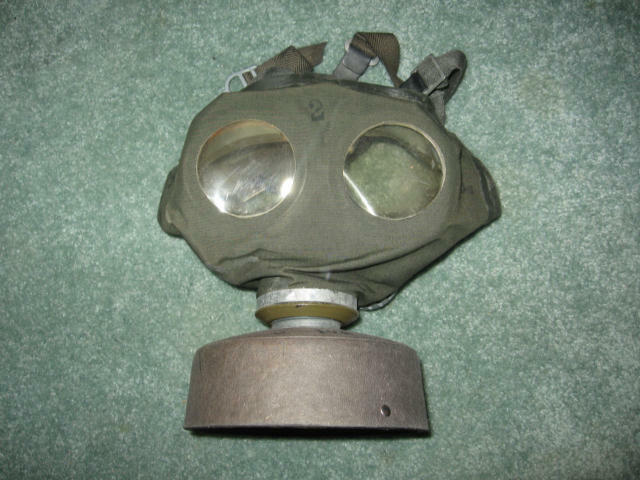 Along with the mask is the original instruction sheet and pressed paper filter . 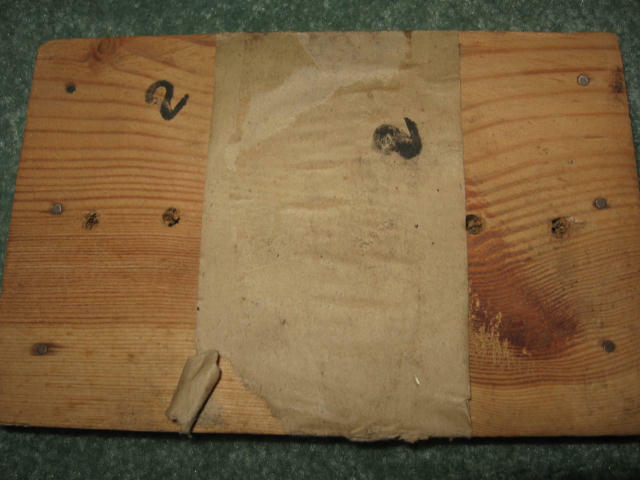 Innstruction sheet was printed on very poor "war time " paper quality . 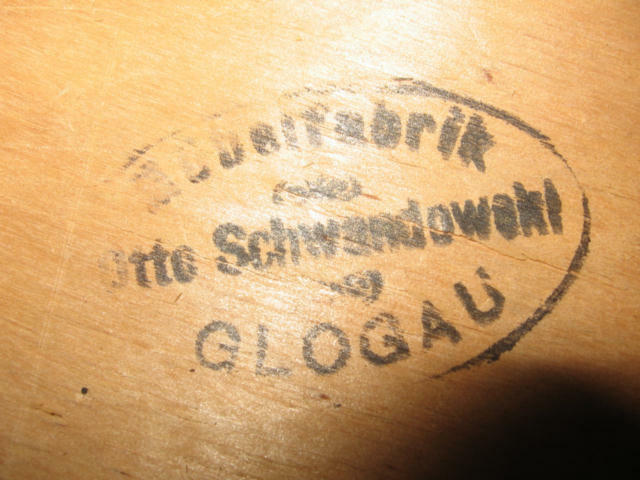 Close up view of black ink stamp and more rubber seam and edge sealer . 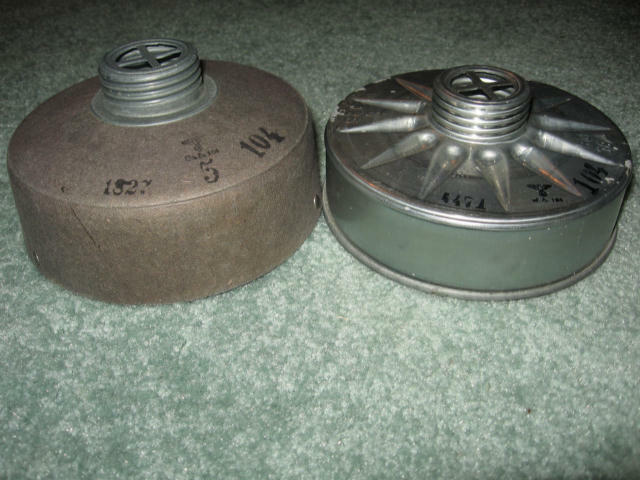 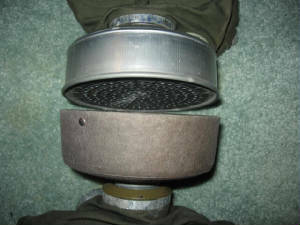 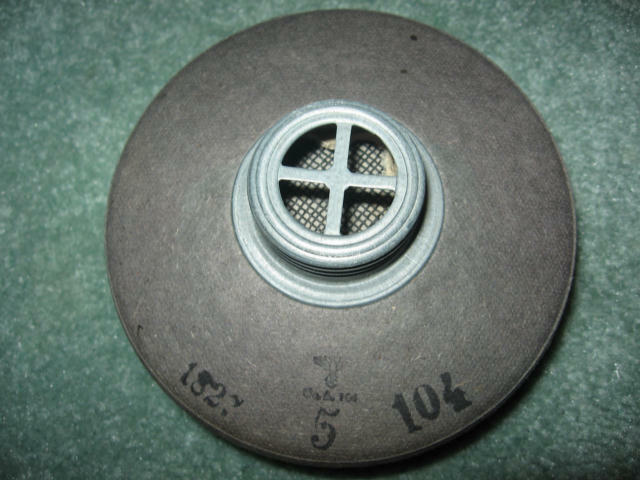 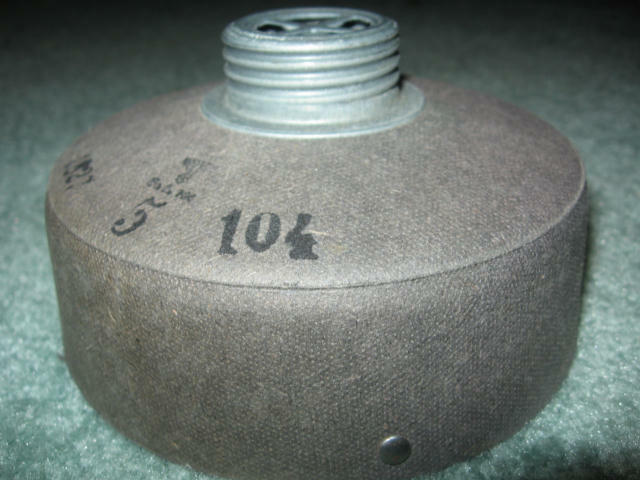 Filter body is made from pressed paper with stamped sheetmetal screw connection on top . 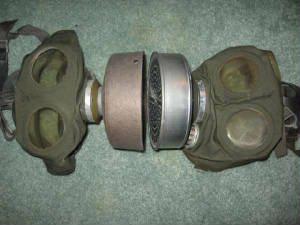 LEFT IS PRESSED PAPER AND ON THE RIGHT STAMPED ALUMINIUM . 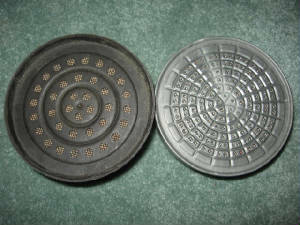 Black ink stamp for mask size . 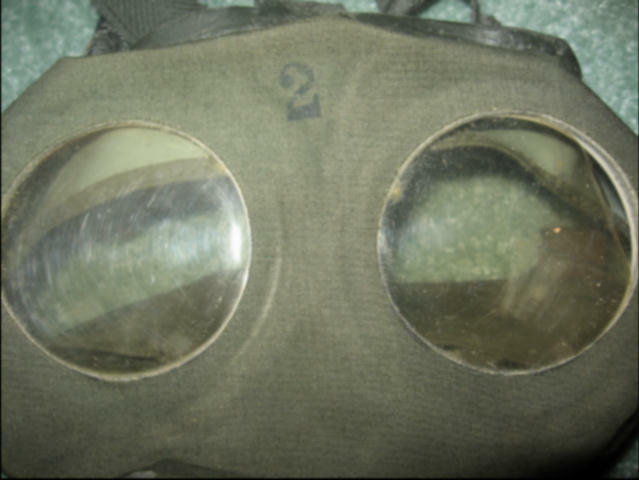 Number 2 denotes a medium size . 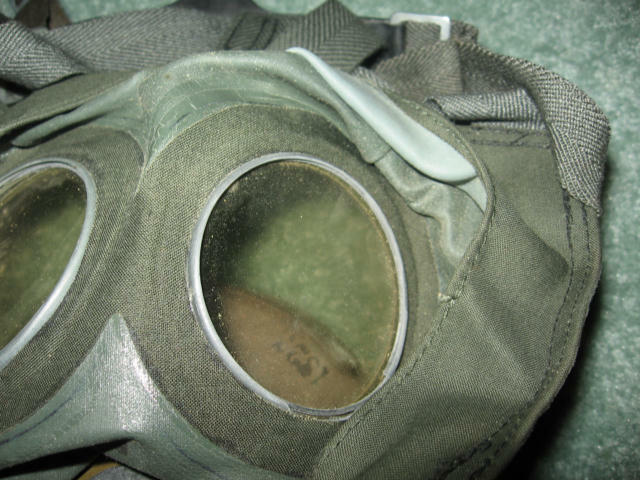 No longer is there an "M" or "F"